A solid molten bronze sculpture finished in deep red patina, Shall We Dance is an exquisite work from artist Tim Cotterill. 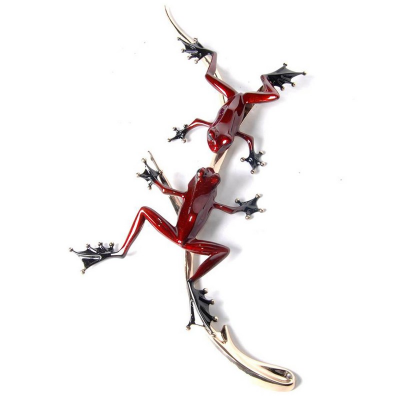 Elegant and stylish, in an edition size of just 40 this truly is a remarkable Frogman Bronze. 23.5 x 12 x 2"